In order to store onions you’ll need to ‘cure’ them, which simply means drying the outer skins fully. To do this, move your onions under cover. 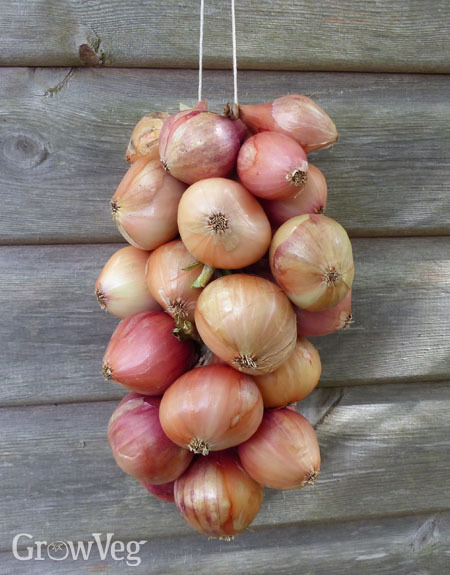 You can dry onions on racks or on layers of newspaper in a greenhouse, polythene tunnel or cold frame. This also works for other alliums such as shallots and garlic.